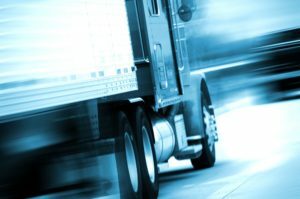 What Is a CDL and Why Should I Get One? Have you ever thought about how the bulk of our goods are delivered to us? Trucks! A career in trucking offers the opportunity to be in an industry with continuing demand, competitive wages, and a variety of different driving experiences. If you are considering a career as a Professional Truck Driver, you'll be required to obtain a Commercial Driver's License (CDL). Driving certain types of commercial motor vehicles requires a particular set of skills and knowledge beyond that of a non-commercial vehicle, and your CDL signifies that you have gone through the proper training and authorizes you to drive these vehicles professionally. The first step to obtaining your CDL is deciding which type of vehicle you want to drive and any endorsements for specialized qualifications you'll want to have, which will determine the type of CDL classification you will need (either Class A, Class B, or Class C). Each type of CDL and endorsement has its own test. Fortunately, there are a variety of schools that will help you get through the hands-on and instructional training needed to pass your CDL exams. What Is CDL School Like and Why Should I Go? Depending on the type of schedule you choose (weekend-only classes, daily weekday classes, night classes, etc.) training programs at CDL schools can last anywhere from 2 to 14 weeks, many of them with a length of 4 to 6 weeks. Some schools offer select portions of the training via online courses, but you can also expect to receive hands-on training and on-the-road training in addition to classroom training. A good CDL training school will prepare you for more than just the CDL exam; it will prepare you for a long and successful career in the truck driving industry. Plus, you are likely to have better job prospects as a graduate of a good CDL school than someone without the formal training. How Do I Choose a Good CDL School? Certification - The Professional Truck Driver Institute (PTDI) is a non-profit organization that awards course certification to well qualified CDL schools that pass their rigorous standards. You can check to see if your school carries PTDI - certified courses. Affiliations - Does the school have affiliations with respected industry trade associations? A few to look for include the American Trucking Association (ATA), the Commercial Vehicle Training Association (CVTA), and regional trucking associations. These types of affiliations suggest quality, as these organizations often have their own standards required for membership. It's also a good idea to see if the school has a membership with the Better Business Bureau (BBB). Credibility and Outcomes - How long has the school been in business? The longer the school has been operating and the more people it has trained, the more likely it is to be an experienced, legitimate school. Does the school offer up any statistics or testimonials on program effectiveness or percentages of graduates that go on to pass the CDL exam and/or find employment? If you don't see anything like this on the school's website, you can always call them and ask. Type of Training - Would you prefer to complete some of your coursework online? Be sure to see if the school offers online courses; not all of them do. Learn more about various CDL requirements. Schedule Availability - Does the school offer a variety of class days and times to accommodate your schedule? Some schools offer weekend-only classes, daily classes, and/or night classes. Keep in mind that how often you have CDL classes will impact how quickly you complete the coursework. Instructors - Are the instructors licensed and clearly qualified, with both education and experience? Age Requirements - Age requirements for enrollment may vary from school to school. It's also good to remember that you must be 18 years old for intrastate driving and 21 years old for interstate driving. Job Placement Assistance - Some schools have programs that can help you land a job prior to graduation. Cost - CDL training courses can cost anywhere from $1,000 to $10,000. According to the Professional Truck Driver Institute (PTDI), the mean and median cost of PTDI-certified courses is about $5,000. Learn more about the cost of CDL training. Location - Some schools have multiple locations across the country, making it much less likely to be a scam and much more convenient to choose the location nearest you.